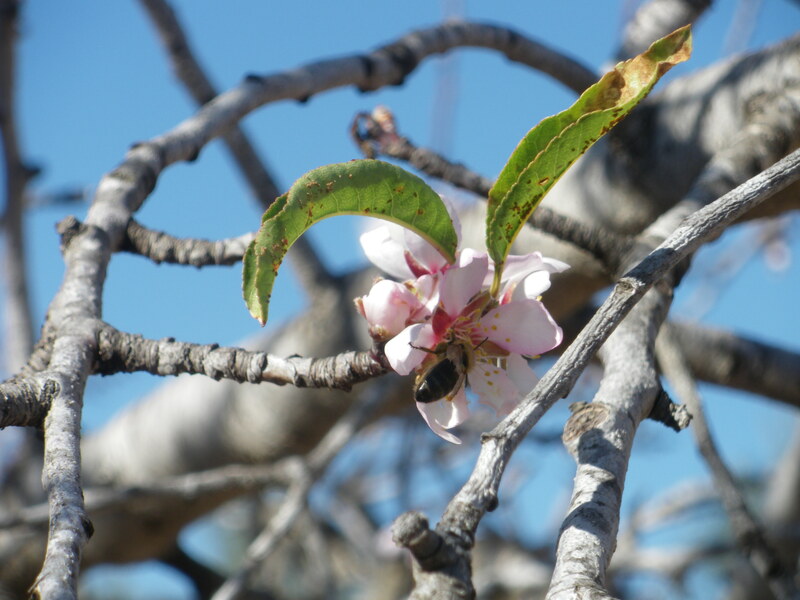 Almond blossom and a busy bee. More blossom. These almonds will need a very long bamboo pole to reach them come September. Late January and into February is Almond blossom time. The seemingly resting trees produce hundreds of buds and to start with most of them turn into the delicate, palest of pink and white blossoms that fill the air with perfume. The smell is all pervasive and reminds me of Toblerone. Sweet and honeyed but without being overpowering. Sitting on the terrace in the sunshine all you can hear is the buzz of labouring bees. They are carrying full saddlebags of pollen somewhere and are enjoying the sunshine as much as we are. But we get to stop for a coffee.